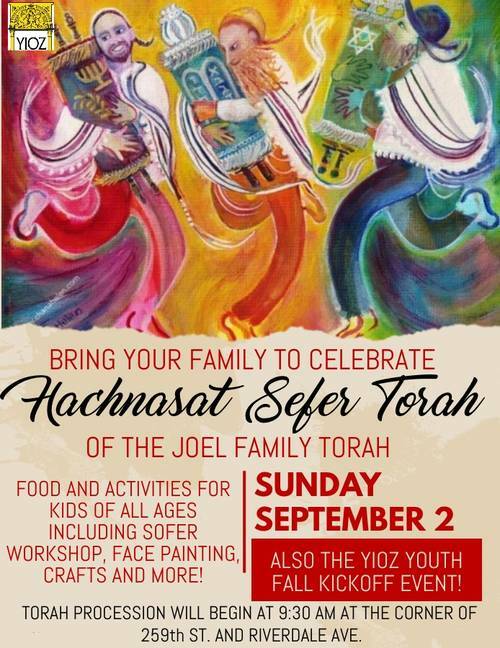 Come celebrate with the Joel Family Torah all day! There will be food, and activities for the entire family, including workshops, face painting, and the YIOZ Youth Fall Kickoff! The torah procession starts outside at 9:30 AM at the corner of W 259 St and Riverdale Avenue.